Using just the notes of the musical scale (A, B, C, D, E, F, G), what is the longest word you can make? In honor of the 10th anniversary of Bejeweled, the game is selling for $1 until October 20th, which is a 66% discount. Chuzzle, Bookworm, and Peggle are also on sale. A review of Bejeweled hardly seems necessary. After all, if you’re reading this, you’ve already played it. Everyone has played it. Tribesmen in the remote jungles of Papua-New Guinea have played it. 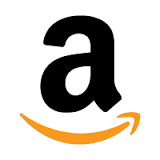 It’s been converted into every conceivable platform known to man, and probably some that are unknown. I suspect that PopCap is, at this very moment, trying to figure out how to get it on the next Mars Rover, so bored aliens can play it and stand in awe of our mighty ability to line up three jewels in a row. The point is, the game has become so ubiquitous that it doesn’t need any explanation. So I’ll give you one anyway. In fact, there is a reason to visit Bejeweled this week, other than it being Poptober here at State of Play. Bejeweled actually turned 10 years old on the rather unlikely date of 10/10/10. That means that 10 years ago, the casual gaming revolution was born. It’s not that Bejeweled was the first “casual game” (I’d give that honor to Tetris), but it became so popular and migrated through so many versions and platforms that its success rippled through the entire gaming industry. The gameplay has been endlessly copied, but never bettered. Just swap two jewels to make rows of 3, 4, 5, or more similar gems in a row. They disappear. More drop down. It continues, forever and ever. The Bejeweled 2 with Blitz app offers a few variants of this core game, but largely sticks to the plan. There’s Classic (as described), Action (which requires you to swap jewels quickly before a timer bar runs out), and Endless (which is a more “relaxing” version that allows you to just keep making moves forever). 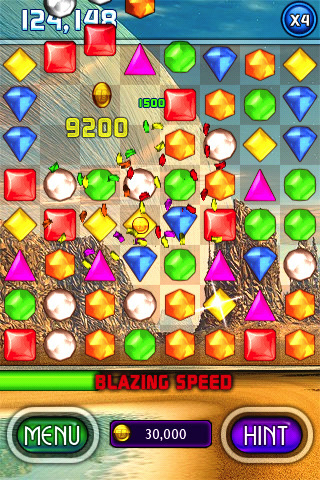 Bejeweled Blitz adds a social networking element to the gameplay. The goal is to make high score in a minute, comparing your score against other friends playing via Facebook. This version adds “boosts” to provide different powers, such as scrambling the gems, increasing time, detonating all special gems, and adding point multipliers. Bejeweled is just one of those games you need to have on every device. It’s the most successful and influential casual games of all time. And after 10 years, it can still be incredibly addictive.